SKIPCITY, located in Kawaguchi City, Saitama Prefecture, is designed to serve as a hub of the next generation audio visual industry. Its mission is to support new creators and small business owners in the audio-visual industry by offering them an environment where they can obtain easy access to the latest technologies, nurture their international competitiveness, and accumulate their innovative works. SKIPCITY Project was proposed jointly by Saitama Prefecture and NHK in 1999 adapting a policy to optimize the management skills and technologies of the private sector for the development. With the cooperation of other selected private enterprises, SKIPCITY was opened in February, 2003. 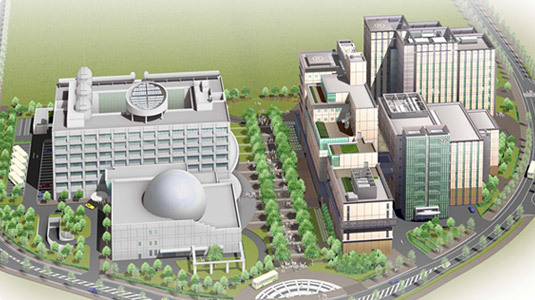 SKIPCITY covers an area of 37 acres, of which one third has been developed (Zone A) to accommodate three administrative facilities in Zone A1 (Saitama Industrial Technology Center, Saitama Prefectural Center for Consumer Affairs, and Kawaguchi Science Museum) and four audiovisual facilities and private organizations in Zone A2 (Sai-No-Kuni Visual Plaza, NHK Archives, Audio Visual Library, Kawaguchi Art School of Waseda University, NTT Communications/IP Solutions, and Digital Skip Station Co., Ltd,). 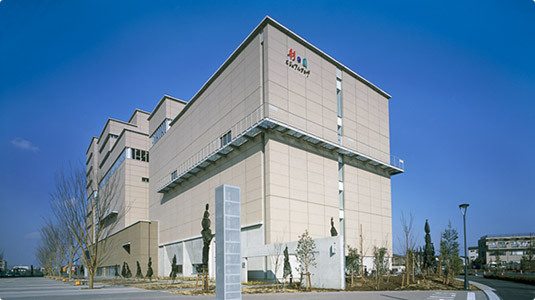 Audio Visual Museum, Sai-No-Kuni Visual Plaza, Kawaguchi Science Museum (Science World), and Audio Visual Library are open to the public offering people of all ages enjoyable learning experiences.